If you haven't heard me screaming with excitement, than you may not know that I made it to the first round of Gallery Idol! And just in case you don't know what I am hollering about, Paper Crafts magazine is hosting a contest called Gallery Idol! There were around 1600 "Congratulations" cards entered in the "Open Auditions" Round and one of my 8 entries was chosen for the Top 20! I am over the moon excited about being chosen to go on to Round 1! I know several of these ladies from blog land and a couple DT's that I am on! They are ALL amazingly talented, creative and just super sweet people! That being said....I already feel like I won...just being in their company! 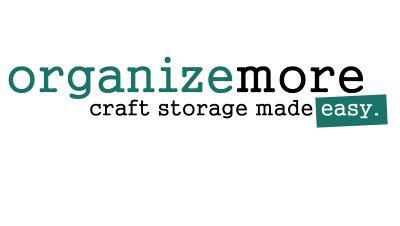 SO, now that we are on to Round 1, we have been given a new category to create in..."DIY Embellishments"! I love making my own embellishments, from buttons, to flowers to any fun little creation to add to a card! One of my most favorite though, is flowers! So I am here today with my Round 1 card and a little tutorial on how I made my flowers! I hope you enjoy! The Hawaiian Shores background is impressed with PTI's Cane Print IP! I layered in with some PTI True Black Satin Polka Dot ribbon! That adorable little die cut is from MFT and the sentiment is from Verve's Bloom and Grow! I added my DIY embellishments last! I love these flowers and have made them several times in the past! They are super easy! Keep reading to check out a little DIY how-to! Here is a picture tutorial on how I made my own flower embellishments! 1. 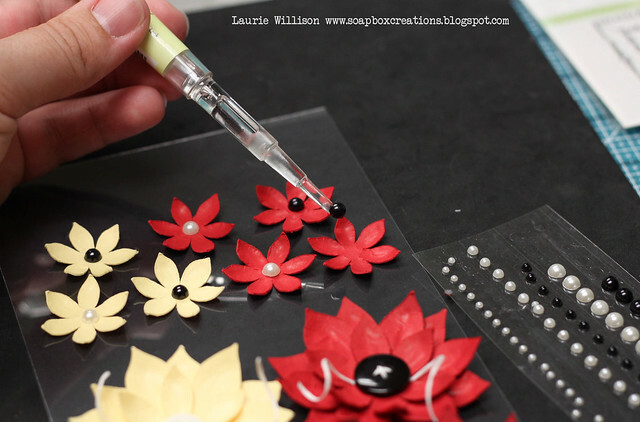 Cut several size of flowers using Flower punches, die cuts or, what I used here...my Cricut. 2. Find a foam cushion (I used the foam that brads come in) or a mouse pad and a large round stylus of some sort. I found that for larger flowers, the end of this craft knife works the best for me! 3. Place the flower on the foam and then press down using small circles until the petals have a rounded out shape. 5. Using Glue Dots, adhere all 3 flowers together. 6. And one more quick pick of all my flowers finished! In this next picture, you can see how I completed the flowers! I added buttons and scrappers floss for the centers of the big flowers and pearls to the smaller flowers! So that is it for the first round! I would be HONORED of you would stop by the Gallery Idol site and cast a vote for me! I would love to make it to Round 2 but I have to say again, in all honesty, making Top 20 feels pretty good!! Thank you again to everyone that took the time to tweet, comment on Facebook and send me emails! Those kind words have meant so much! This has been so much fun already! Have a great day and I hope to see you again soon! I LOVE your flowers - they're not only gorgeous but have so much dimension! One of your crafty friends is in for a real treat with those DIY embellishments so professional packaged! Oh, and thanks so much for that cute tutorial. I will definitely have to try these out sometime very soon. Lovely! I really really love these flowers! They are truly beautiful and I would never have guessed you made them yourself if I hadn't seen the pictures! :) Best of luck and you have my vote!!! It's beautiful! I love the striking colors and will be trying them out myself very soon. The embellishment package is amazing too! Thanks for the tutorial, I don't have any flower punches but I so want to try this. You have my vote for this round! Good Luck! Beautiful card! Love your colour choices and all the wonderful layers of your flowers. Good luck! Laurie, your flowers are amazing (I see you used your trademark colors) & your tutorial is great! I'm checking the Gallery Idol site now. This is lovely! 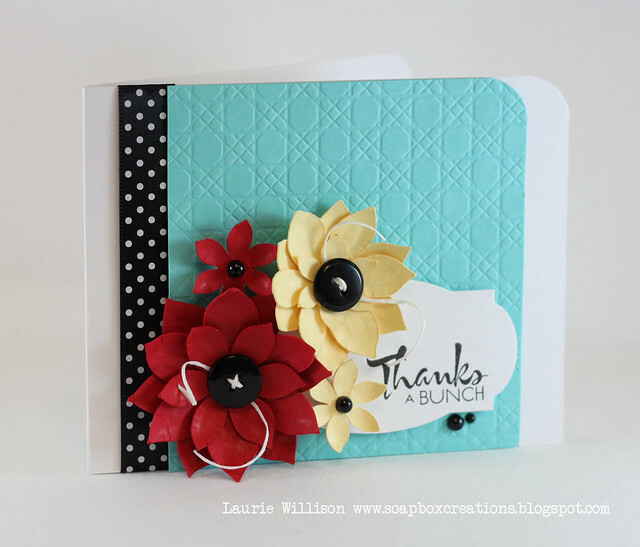 I'm always in awe of your designs- I love this card, and the cute embellishment packaging! Good Luck! SOOOOO excited for you, Laurie!!! 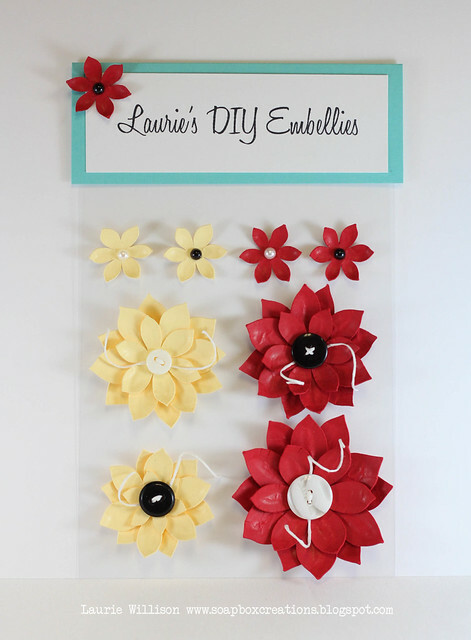 Your 3D flower embellies are GORGEOUS, and your tutorial here on the blog-o is AWESOME!!! Thanks for the inspiration!!! Good luck in the Gallery Idol competition!!! 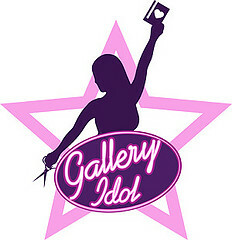 Well, you probably know how much I LOVE American Idol and now Gallery Idol as well! Especially when I have a friend in it, to win it!!! Great job Laurie and good luck! Can't wait to see you in a week or so!!! Beautiful card Laurie. I loved some similar flowers that you made beofore and I am so happy that here you are sharing how you make your beautiful flowers. Awesome flowers, fantastic card, and super cute packaging!!! Love it!! Good luck! You my friend, ROCK! I love these flowers! They are so perfect and of course your awesome color combo! Amy's comment made me LOL! "In it to win it!" for sure! Have you ever been on a cruise!? I think they're marvelous and the thought of my helping to get you on a ship makes me even more excited about all of this! Love your card Laurie! Good luck! I will definitely go vote for you...this card is AWESOME!! Thanks for the tutorial, too! I love that you even packaged up the embellishments. I hope you win, you seriously have talent! These are awesome Laurie, I especially like the colors of your card. This is so inspiring! Your flowers are fantastic, and the colors you chose just make me happy. Beautiful job! Beautiful flower, love the added pearls to the center and your embellishment sheet! 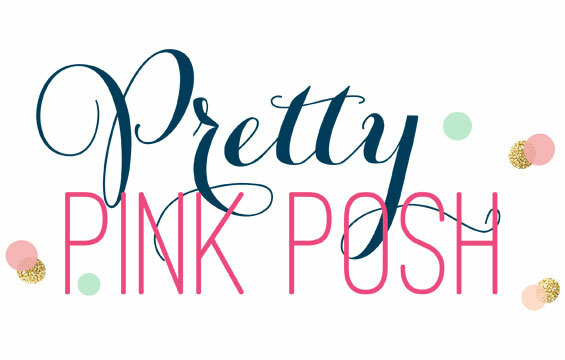 What a fabulous tutorial...and I love all the dimension and cool/crisp colors! By the way...gorgeous flowers! Thanks for the tutorial. BEAUTIFUL card, Laurie! I'm so excited for you! Best of luck!! Thanks so much for the tutorial. I love layered flowers, and you have such great ideas. Absolutely gorgeous!!!! Your flowers are beautiful and my friend, you totally rocked the challenge! Gorgeous card! I love the color combo you used! Good luck! The color combo is awesome, but the shape you gave those petals is even more so. Great job, Laurie! Beautiful card and LOVE all those flowers you have created. Good Luck! What a striking card. Your color choices, flowers and texture are perfect.Thanks for the tutorial on making the pretty flowers. You got my vote. Voting for you now! Super cute card! A-Freakin'-MAZING!!! And you packaged them up to boot!!! WOW! Talk about crazy creative talent!!! Thanks for the AMAZING tutorial for these incredible flowers!!! HUGE CONGRATS!!! You totally deserve it! You are AMAZING! Best of luck!!! Woot whoot!!! Cheering for you GF!! Beautiful card, Laurie!! I love the colors and the handmade flowers. Thanks for the flower tutorial and now I'm curious..have you taken cake decorating classes before?? Because that is exactly how they teach you to make fondant flowers on cakes. ;) So cool, I never thought to do that with paper! Good luck with Gallery Idol!!! It really is such an honor to be in the Top 20, isn't it? I'm so excited that we get to be there together! LOVE your color combo on your card and those flowers are totally rad, especially the little curl of wire. Wishing you the best of luck for this round! Absolutely gorgeous, Laurie! I'm especially in love with that scrumptious color combo! So don't know what's taken me so long to come over here and congratulate you! If you'll believe it, I've been a bit in the dark about the whole Gallery Idol thing, but I am beyond thrilled to see your work shining above in the competition. HUGE congrats, girl! And I'd say good luck, but you're not going to need it ;)! This is so pretty. I just love the color combo you used. I am off to vote for you girl! Hope you make it through! Your card is gorgeous! I love the colors and beautiful flowers. Good luck in Gallery Idol. Way to go, super star! I'm so excited for you :) The card's amazing and I LOVE those flowers! Woo Hoo!! Congrats on making the TOP 20!!! 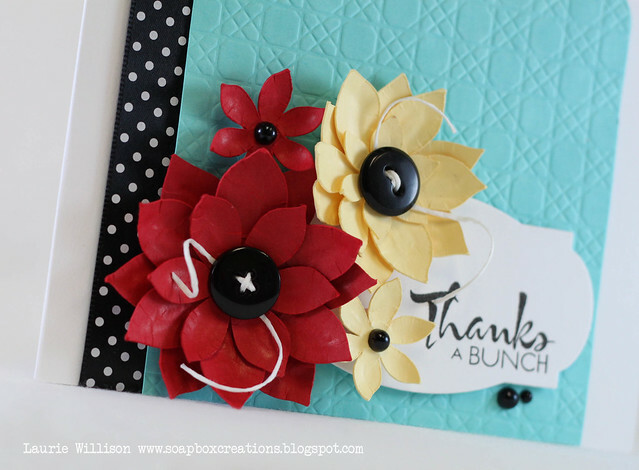 Love the card you created for the 1st challenge, and you flower embellishments are gorgeous!! ocngrats on your gallery win, laurie! such gorgeous flowers-thanks for the tut! I would totally buy these beautiful embellishments girl! Stunning! 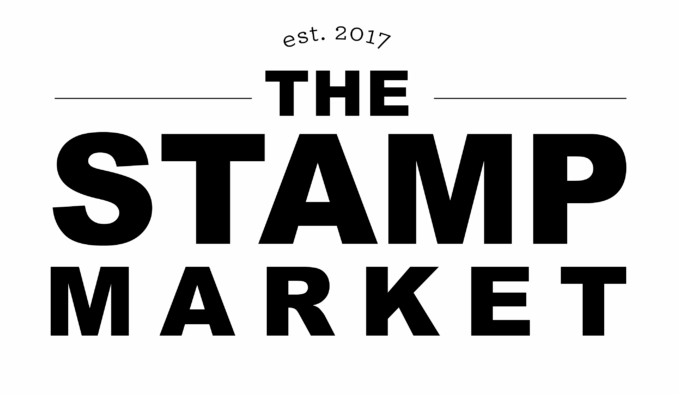 Love your card & your beautiful flowers - and yes, being in this group is already a prize! Good luck!! Oh, your card is stunning, Laurie! I love everything about it! Thanks, too, for sharing your tutorial! Your flowers are amazing and best wishes moving on to the next round! AMAZING flowers and card! Congrats! Super excited for you! Wanted you to know I posgted a link to this tutorial today.